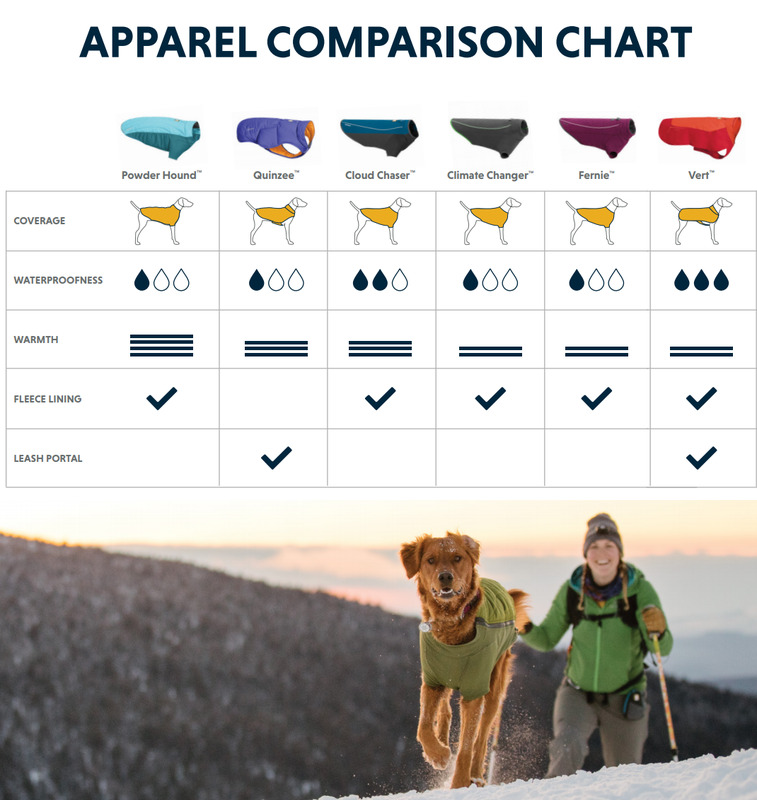 Don’t let the weather slow you down! 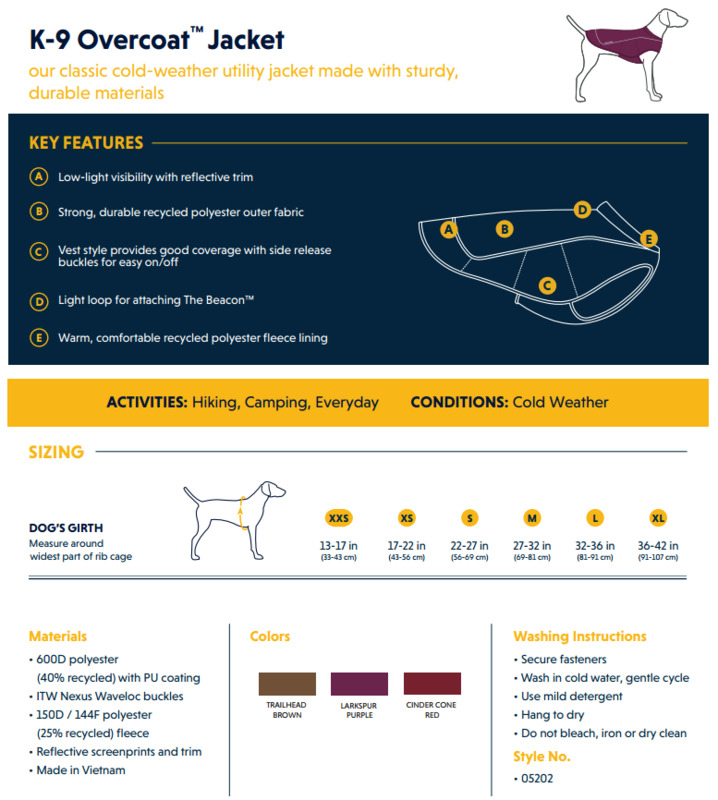 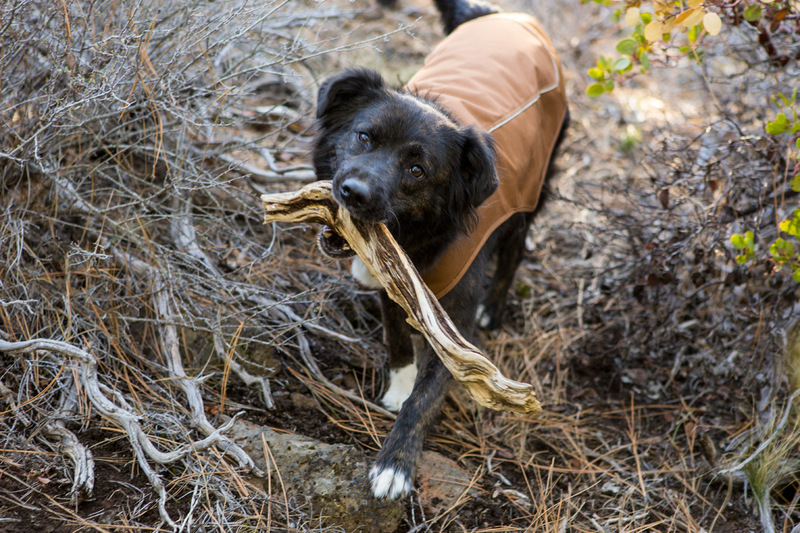 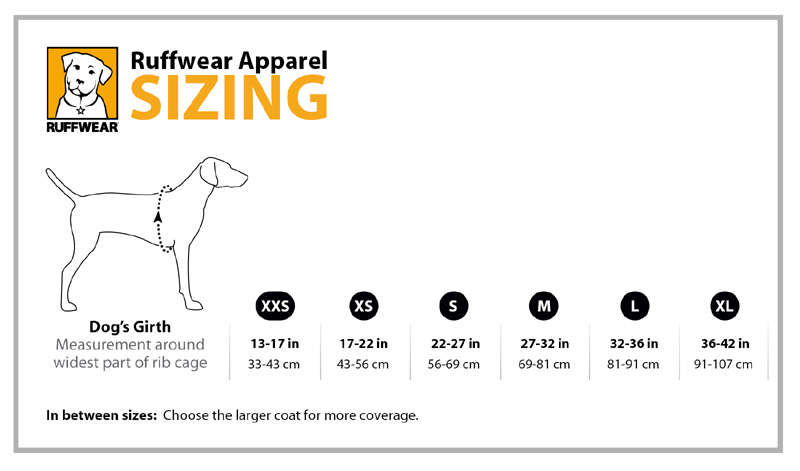 When you layer up to head outdoors, protect your best friend as well with the K-9 Overcoat, Ruff Wear's most durable dog coat. Designed to be warm and durable this coat is wind and water-resistant. 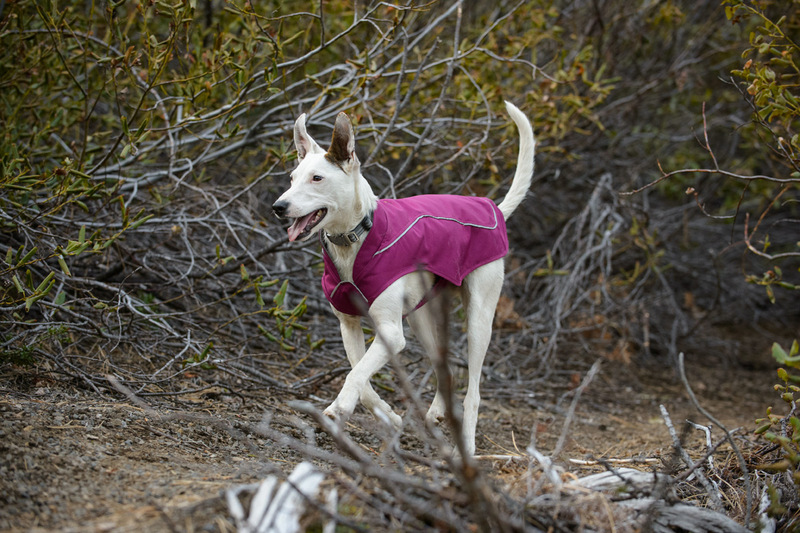 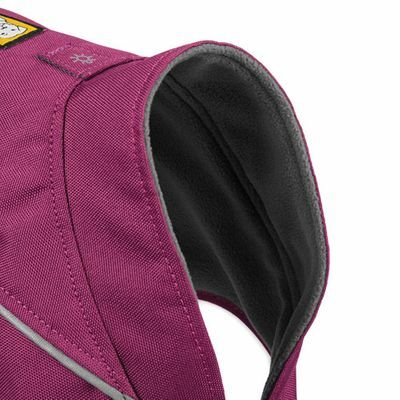 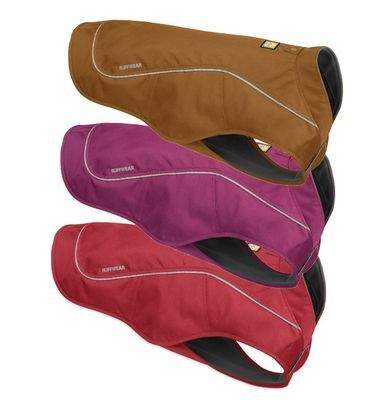 The recycled fleece insulating layer is enclosed in a durable recycled polyester shell, keeping body heat in, and the elements out. 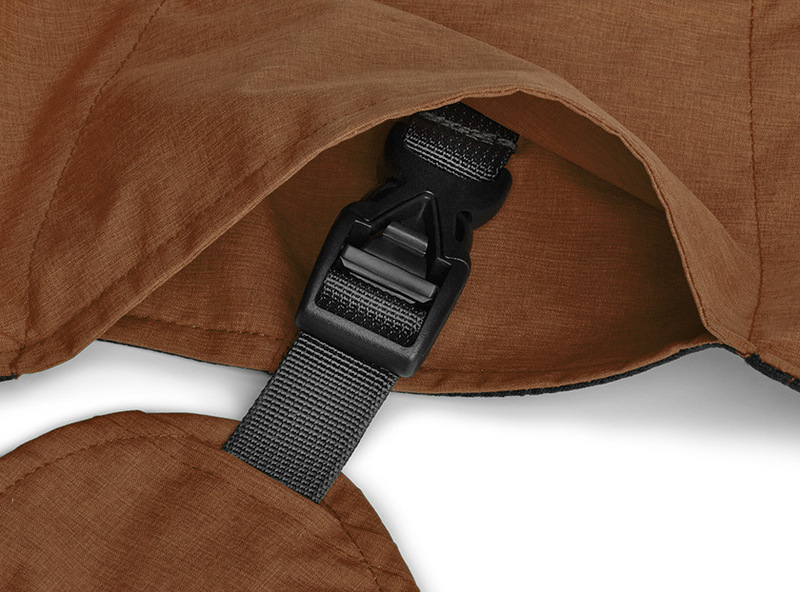 Auto-lock buckles on each side provide easy on/off.